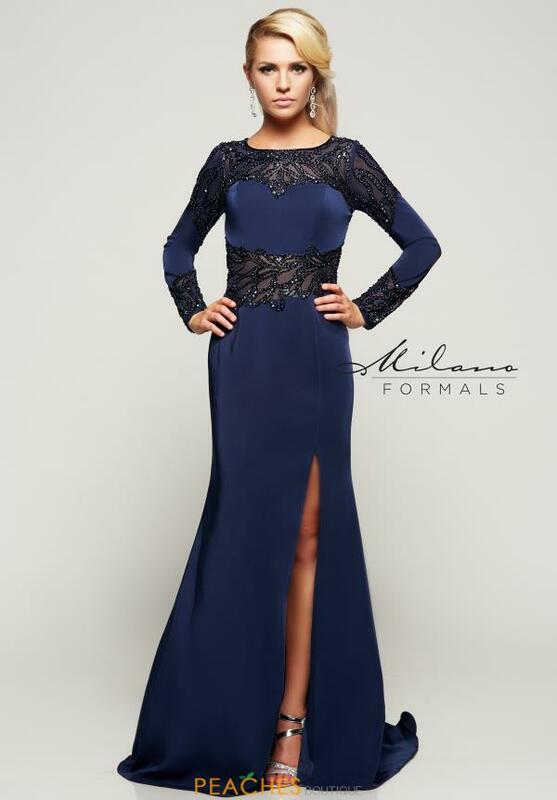 Up the drama factor and wear this Milano Formals long sleeved dress E2074 for your special occasion. Stop by at Peaches Boutique in our Chicago location. Long sleeves are always in style and ideal for fall and winter. This outstanding navy gown showcases a high neckline, the sheer navy illusion panels are completely embellished in intricate bead work that sparkle on each step. The high slit and sweep train add a complete finish.